Want to learn to golf? Want to fine-tune your game? Trying out for a school golf team? Barrie Bruce Golf Schools is located at the public Country Club of Billerica, in Billerica, Massachusetts (MA). We teach golfers of all levels and all ages. Choose from group lessons for the new golfer, private instruction for those with some playing experience, and clinics for Junior Golfers ages 6-14. Our BBGS golf instructors make learning golf fun and relaxing. We teach golf, but more importantly, we know how to teach people. We look forward to seeing you at BBGS soon! 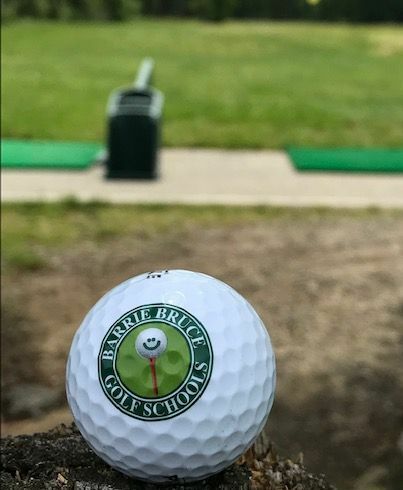 Barrie Bruce Golf Schools also offers Beginner Adult and Junior Clinics at Wentworth Hills Country Club in Plainville, MA (in Southeastern MA). For BBGS Wentworth Hills programs, click here, or contact Barrie directly at 978-337-2448. Our golf school services Massachusetts ( MA ), New Hampshire ( NH ), Northern Rhode Island ( RI ) and surrounding areas near you. FOR WEATHER-RELATED CLASS CANCELLATION INFORMATION, please CLICK HERE for our Facebook page, or call the Golf School at 978-670-5396. At a young age I was enrolled in the Barrie Bruce Golf Schools Junior program. 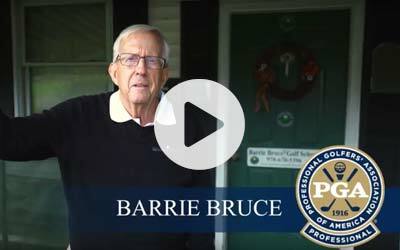 Besides my father, Barrie has been the most influential person in my golf career. His philosophy about practice, enjoying and respecting the game is what I've always remembered. In the Junior program, and in subsequent lessons, he taught me proper fundamentals, etiquette, and the rules of golf. I went on to become a PGA Tour Professional, competing in over 200 Tour events. Thank you to Barrie and the BBGS Golf Schools. I do not think I would have been as successful in my golf career without your passion for the game and your help through the years.